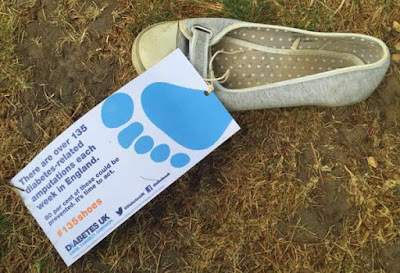 Diabetes UK have been working on their 'Putting Feet First' campaign for some time now, but today is the day they are really trying to hit hard with it. They are staging an event in Westminster featuring 135 shoes scattered across a lawn, each bearing a note of the impact that amputation, or living with the threat of amputation can bring. The statistic is horrifying, but even more gut-wrenching is the byline. Eighty percent of these amputations could have been prevented. Eighty percent. It strikes a particular chord with me as I am aware that Bristol, where I live, has a particularly high rate of amputations compared to the national average. Having lived with diabetes for over 25 years I have spent quite a lot of time trying not to think about complications, but if you are lucky enough to still have all ten toes attached, just think for a moment about the impact on your every day life of losing one or both of your feet. Of the additional challenges that would come with a million every day moments. Stairs, nipping to the shops, running for the bus, running for pleasure, sports, shoes, paddling in the ocean, walking the dog... And for 108 of those 135 people, this devastating event might have been prevented. Many of the people who live very real and very human lives behind this cold, hard statistic will be living with Type 2 Diabetes. They will be used to having people assume that this is all their own fault. That they should be ashamed of themselves. That they have only themselves to blame. Because type 2 is a 'lifestyle' disease, right? "Too many cakes and not enough exercise you poor, waddling excuse for a human being". Blah blah blah. So on top of the physical trauma and day to day difficulties faced, they will be heaped upon with guilt for the enormous cost of their treatment to the tax payer. What remains of their self esteem crushed beneath the weight of media, public and family opinion and in some cases even a medical profession that seems to overtly judge them as failures. But is it really as simple as that? And even if you think it is, what fruit does that mindset bear? Personally I don't believe that it is. There is a lot in this article, You did NOT eat your way to type 2 diabetes, that makes a lot of sense to me. Now that's not to say that I dismiss the concept of personal responsibility entirely. Of course not. 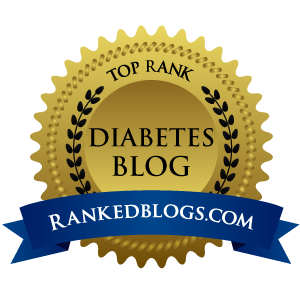 If some people had made changes perhaps they could have dodged their diabetes diagnosis. But it just seems to me that many (most?) people who live with Type 2 diabetes were doing pretty much what everyone else was doing, it was just that their metabolisms weren't up to dealing with the semi-toxic combination of a modern Western diet and a massively wealthy and profit-hungry food industry. But getting a diagnosis of diabetes (of either type!) surely should not inevitably lead to 135 people each week undergoing expensive life-altering surgery. Our understanding of managing long term conditions, like diabetes, seems to be improving year on year, and yet many of the outcome measures seem to be getting steadily worse. How can we change the balance so that there are only 81 shoes on the lawn? 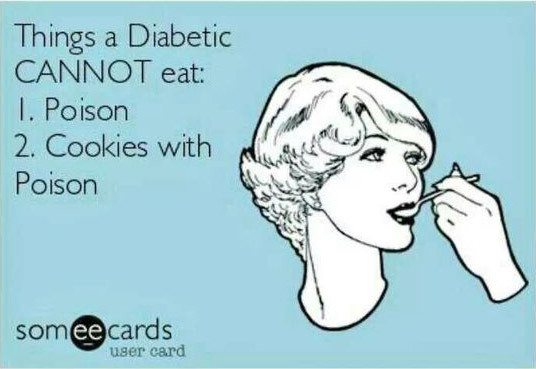 This is for us lot with diabetes really. Foot checks are supposed to be part of your annual review every year. Go to your appointment and make sure you get your pulses and sensitivity checked. If there are any problems you want them spotted early. This is less a factor for us living with Type 1, but many with Type 2 are set up to fail from the outset - if something is inevitable, why bother putting in effort to prevent it? Effective managment of diabetes is a relentless slog, we need to be encouraged that the effort is worth it. Don't blame people if they need more or different medication as time goes on, but never make them feel like it is not worth trying, that there is nothing they can do. Focus more on the positive benefits of effective management in the short and long term. Incredibly this still seems to be suggested to some people. 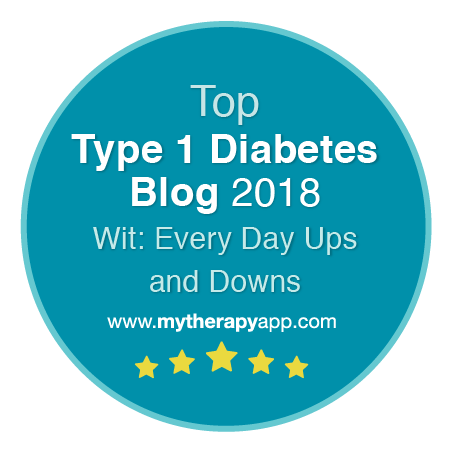 That type 2 is not really very serious and doesn't need much attention paid to it. I much prefer the quote about diabetes and tigers: "Living with diabetes is like living with a tiger. If you feed it, groom it, never turn your back on it; you can live with a tiger. If you neglect it; it'll pounce on you and rip you to shreds." The vast majority of people living with diabetes in the UK have type 2. And the vast majority of them are told, time and time again, that they do not need to test their blood glucose levels. That the 6-monthly HbA1c test is enough. I could write a long and ranty post about how we seem to have got ourselves into this mess (including the Farmer et al study that is still used as an official reason why SMBG - self monitoring of blood glucose - for type 2 is not recommended) but I would rather talk about the motivated people I see on diabetes forums. They fund their own strips because their surgery won't. They test before and an hour or two after eating something (whenever they generally get their highest reading). They look at the results and the quantities and types of foods eaten and make adjustments. They use the very pre- and post-meal target values that are in the same NICE guideline that denys them access to SMBG. And as a result? They are able to actively tailor their diet to suit their own diabetes, many are able to reduce or emilinate medication and their HbA1cs usually fall well outside of the 'danger zone'. And if they can do it... so can hundreds and thousands more if given the right testing framework, simple guidance and 6 month's or a year's worth of strips for that intensive early testing. 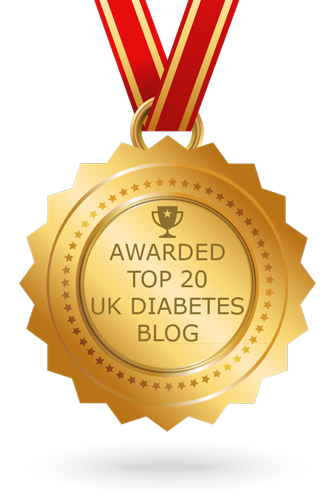 Well done to Diabetes UK for highlighting this important topic. I hope some action can be taken to reduce the enormous, unnecessary, financial and personal cost behind these statistics.